Professors de Pillis (Chair), Benjamin, Bernoff, Castro, Gu, Jacobsen, Karp, Levy, Martonosi, Noquez, Omar, Orrison, Pippenger, Su, Williams, and Yong. A mathematics degree from Harvey Mudd College will prepare students for a variety of careers in business, industry, or academics. Mathematical methods are increasingly employed in fields as diverse as finance, biomedical research, management science, the computer industry, and most technical and scientific disciplines. To support the academic and professional goals of our majors, we offer a wide selection of courses in both pure and applied mathematics. This selection is enhanced by courses offered in cooperation with the other Claremont Colleges, including graduate courses at the Claremont Graduate University. Students will have many opportunities to do mathematical research with faculty through independent study, a summer research experience, or their senior capstone experience. Active areas of mathematical research at Harvey Mudd and The Claremont Colleges include algebra, algebraic geometry, algorithms and computational complexity, combinatorics, differential geometry, dynamical systems, fluid mechanics, graph theory, number theory, numerical analysis, mathematical biology, mathematics education, operations research, partial differential equations, real and complex analysis, statistical methods and analysis, and topology. The culmination of the degree is the senior capstone research experience: every student experiences a taste of the life of a professional mathematician as part of a team in the Mathematics Clinic Program or by working individually on a Senior Thesis. An educational innovation of Harvey Mudd, the Clinic Program brings together teams of students to work on a research problem sponsored by business, industry, or government. Teams work closely with a faculty advisor and a liaison provided by the sponsoring organization to solve complex, real-world problems using mathematical and computational methods. Clinic teams present their results in bound final reports to the sponsors and give several formal presentations on the progress of the work during the academic year. Our Senior Thesis program provides students with the opportunity to work independently on a problem of their choosing. Advisors and readers may be chosen from the Harvey Mudd faculty and the other mathematicians at The Claremont Colleges, providing students with a wealth of research opportunities. As with Clinic, the end product of a thesis is a bound volume as well as presentations made at a professional conference or other venue and during College-wide events, including Presentation Days. The mathematics faculty works closely with each mathematics major to develop a coherent program of elective courses that meets the student’s professional and academic goals. The department meets once each year to discuss and evaluate student programs and to discuss student progress. The Department of Mathematics and the College provide excellent computational facilities. The department’s Scientific Computing Laboratory houses workstations supporting classroom activities and student and faculty research in numerical analysis, algorithms, parallel computing, and scientific computing, addressing diverse problems in mathematical modeling (such as problems in fluid mechanics and mathematical biology), operations research, and statistical analysis. Additional resources include Beowulf-style distributed parallel-computing clusters and multiprocessor, large-memory, parallel compute servers. The department supports a wide variety of commercial and free/open-source mathematical software packages such as Mathematica, Maple, MATLAB, R, and SAGE. There are many opportunities outside of coursework to enjoy and participate in mathematics. Some of these activities are described below. The William Lowell Putnam Examination. The Putnam Exam is a national collegiate mathematics competition. More than 4,000 students from more than 500 institutions take the exam. It is a very challenging, 12-question exam lasting six hours (three hours in the morning and three in the afternoon). The problems on the exam can be solved using elementary methods so that students can take the exam every year they are at college. About 50 Harvey Mudd students take the exam each year, one of the highest participation rates in the country. The Harvey Mudd Putnam team has done very well in the competition. The Harvey Mudd team has placed in the top 10 teams five times in the last 10 years; usually, Harvey Mudd is the highest ranked undergraduate institution in the nation. The Putnam Seminar (MATH093 HM ) meets weekly and is open to all students. This is a one-credit course that will help to prepare students for the competition. Michael E. Moody Lecture Series. The Moody evening lecture series brings speakers to the College who illuminate the joy, wonder, and applications of mathematics, attracting hundreds of students and other members of The Claremont Colleges community. Weekly Mathematics Colloquium. The Claremont Colleges Mathematics Colloquium meets once per week. Most of the colloquium speakers are mathematicians from around the country who speak about their research or give talks of general mathematical interest. To encourage undergraduates to attend, all speakers are encouraged to design their talk to be accessible to undergraduate mathematics majors. Mathematics Seminars. Several weekly seminars on special mathematical topics are offered in Claremont each year. Recent seminars include analysis, algebra, applied mathematics, combinatorics, number theory, operations research, statistics, financial mathematics, and topology. Faculty, CGU graduate students, and advanced undergraduate students attend the seminars. Mathematical/Interdisciplinary Contests in Modeling (MCM/ICM). The MCM/ICM contests are sponsored by the Consortium for Mathematics and its Applications and the Society for Industrial and Applied Mathematics. Each year, the MCM/ICM contests propose challenging, open-ended problems in applied mathematics. Competing schools form teams of three students to work on the problems over a long weekend. Teams cannot consult with any person on their solution but otherwise can use any resource available to them: computers, reference literature from the library, or Internet resources.  Each year, Harvey Mudd has between two and eight teams competing in the MCM and ICM, out of more than 2,700 teams internationally. Harvey Mudd has earned the highest award of Outstanding more than any other institution in the competition.